I've been doing some focused letter explorations with Caterpillar (2) and Wild Thing (almost 4) since Wild Thing started preschool. It was a way to do a special Tot School experience with Caterpillar while Wild Thing was at school. Often, though, Wild Thing wants to explore the baskets too so it's become a joint toddler and preschool learning experience. This week, I'm excited that our Letter F post is part of 31 Days of ABCs - an exceptional alphabet resource from All Done Monkey. Throughout October, everyday a different blogger provides a craft or activity for a letter of the alphabet -- their post will also feature a linky inviting others to share activities for that same letter. You can link up your activities connected with learning the Letter F below. 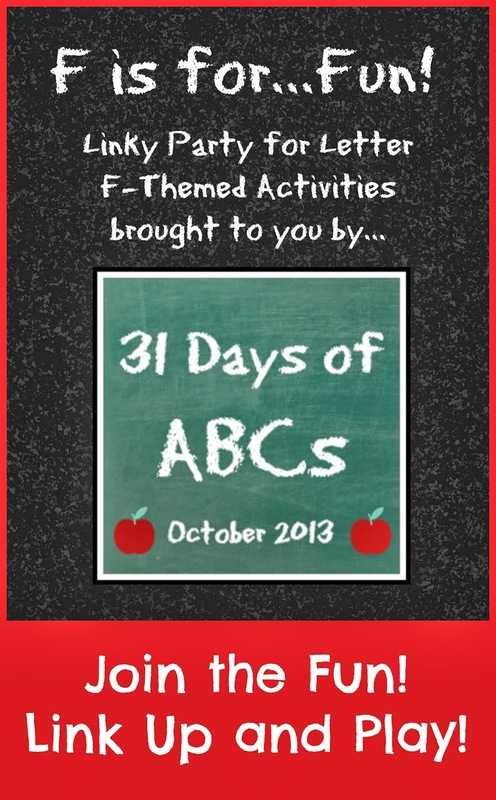 Plus, check out the 31 Days of ABCs Pinterest Board for even more resources! During my Tot School set up, I focus on the five senses as a helpful way for me to structure my daily letter baskets, so here's our 5 Letter F baskets. We start with F is for Fire Truck. When selecting something the boys could hear that began with F, fire truck was perfect. October is Fire Prevention Month and this week is Fire Prevention Week. Not too long ago, I saw first-hand the devastation of fire through a house fire that uprooted a friend of a friend. This reinforced the importance of teaching fire safety. 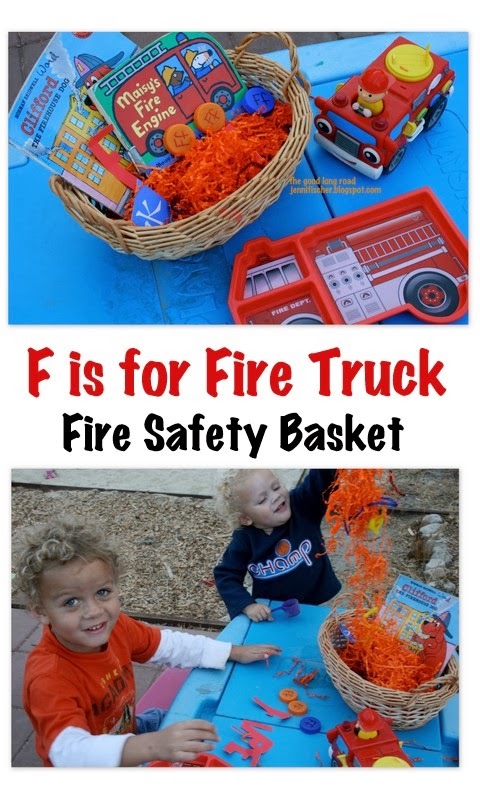 For little ones, keeping it approachable is important, so I made a fun Fire Truck basket set up with some of our favorite fire truck toys/items. The boys always love the paper shreds, but Wild Thing also did well as we read Clifford The Firehouse Dog with the fire safety tips. I also had several letter F milk caps for the boys to explore and big letters to spell out F-I-R-E. We also did some simple art - making fire trucks through tracing, and I drew a quick free-hand fire truck to cover with letter Fs for Caterpillar to identify. I've noticed with Caterpillar that having books connected to the letter baskets really works well for him. He loves searching for the designated letter on the big cover and gets really excited when he finds it and points it out to me! F is for Feather...When I first decided to do a Letter of the Week Tot School approach back in August, I knew feathers would be perfect for the Letter F for touch. I started by presenting the boys with a simple feather basket. This evolved into color sorting, and eventually I set up feather painting. It was interesting to see that the boys took different approaches to painting. Wild Thing used the broad outer parts of the feather to paint, while Caterpillar initially dipped the pointed base of the feather in the paint. He only began painting with the outer portion after Wild Thing moved on to do something else. We selected orange, red and yellow so that the boys could paint fire. By the end, they decided to add the feathers to their painting, layering the feathers on top of the paint. Last month, I loved seeing House of Burke share her rainbow feather sensory bin. It made me so excited for us to get to letter F so I could do feather sensory play with my boys, and Stir the Wonder's Painting with Feathers inspired me to add painting to our feather experience. F is for Fish...Given that the boys enjoy fish watching at a local Koi pond, I knew that what we see had to be Fish. Luckily, my local grocery store had goldfish snack holders on clearance, and I recently bought alphabet animal wrapping paper for a quarter at a yard sale. Wild Thing helped cut out Fish from the wrapping paper for our Letter F Fish basket. The boys both enjoyed putting the paper fish inside the fish snack holders and counting how many fish they had. Those whacky fish sunglasses were also in the clearance section at our local grocery store -- for 25 cents. Caterpillar thought they were hilarious! We also did some sensory ice play with some frozen fish-shaped iced cubes - making the fish swim around our pond plate entertained them for quite some time. 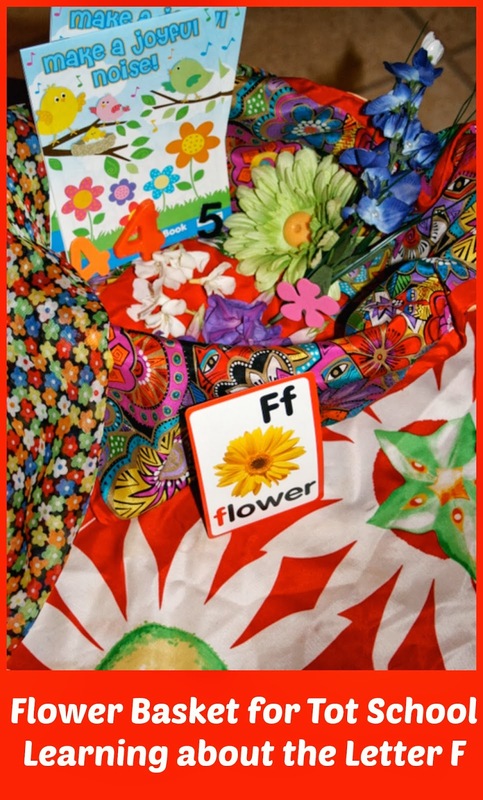 F is for Flowers...For Smell, of course I chose Flowers. 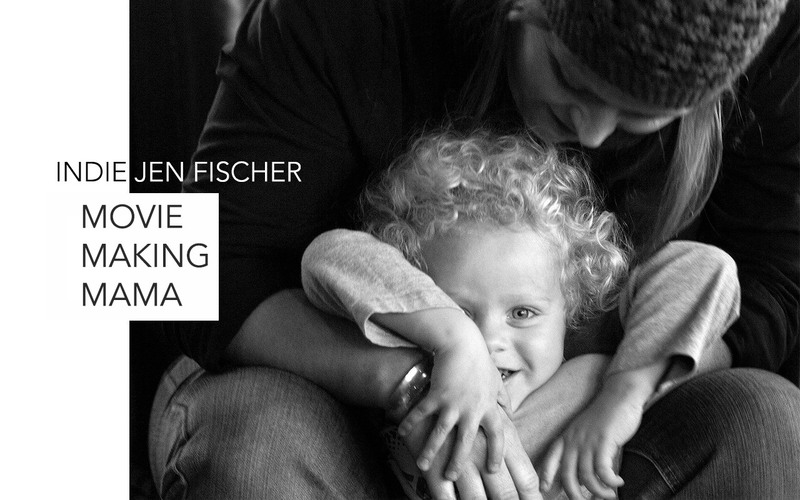 I planned to take the boys to a nursery or flower shop so they could smell many different types of flowers - comparing scents - and then see if they could find a flower whose specific named started with F to bring home. But, the boys got sick this weekend, so I went with a few fake flowers that we had, some flower scarves and then picked some flowers growing in our neighborhood. (Since neither of the boys can really smell right now because of their colds, this seemed like a fine compromise). I intentionally picked four purple flower and five white flowers to further reinforce our beginning letter sound with the numbers four and five. Caterpillar preferred the green fake flower. Wild Thing enjoyed all of the different flowers and loved the scarves as well. He also created a game using a frog we had on hand (coming soon to the blog and this link-up: F is for Frog). He's really into Angry Birds right now, so we created "Friendly Frog Finding Flowers." I would hide four of the flowers around the room for the friendly frog to come find. The alliteration was fabulous -- and so was the game! We also made flowers on sticky paper using paper scraps, paint chips and some of the paper shreds from the fire bin. They were sitting opposite each other as they made their flowers, but the result is that Wild Thing's giant sunflower looks like the sun shining down and nurturing Caterpillar's flowers -- oh and don't miss the little worms crawling in the dirt! Now for taste, we explored a few new fruits: mango and pineapple. No surprise here when Caterpillar loved them both and Wild Thing wouldn't even give them a try. He politely asked for apple instead, pointing out that it was indeed a fruit. 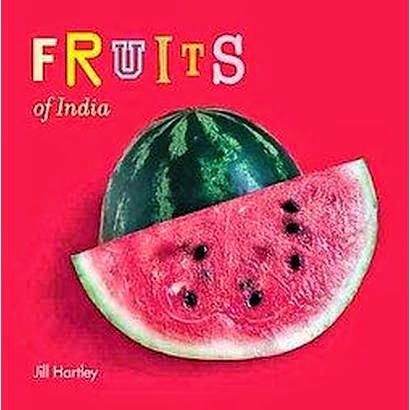 We also read Fruits of India, and I discussed the origins of the fruits we were eating. I'm enjoying our letter exploration approach because the boys get excited to see what the new baskets will bring, Caterpillar's letter identification is going quite well, and Wild Thing's beginning letter sound knowledge continues to grow and he's doing some early reading. Additionally, I'm seeing how the baskets crossover into other learning areas with lots of color sorting, counting, and now even fire safety and geography. Please share your Letter F activities in the linky below and head over to All Done Monkey to learn more about 31 Days of ABCs and to check out all of the other letters that have been shared so far. I've linked up our past Letter A-E posts from Tot School to the series. I'll also be sharing this post at Montessori Monday, Mom's Library, the Ultimate Sensory Play Party, and It's Playtime, some of my favorite link-ups. Wow, you guys have so much fun! So glad you are participating in this series! You pull together the cutest learning units for your boys!